Our customers want to extend the life of their assets beyond the point they fail. We therefore repair refurbish and remodel your surplus or broken assets. 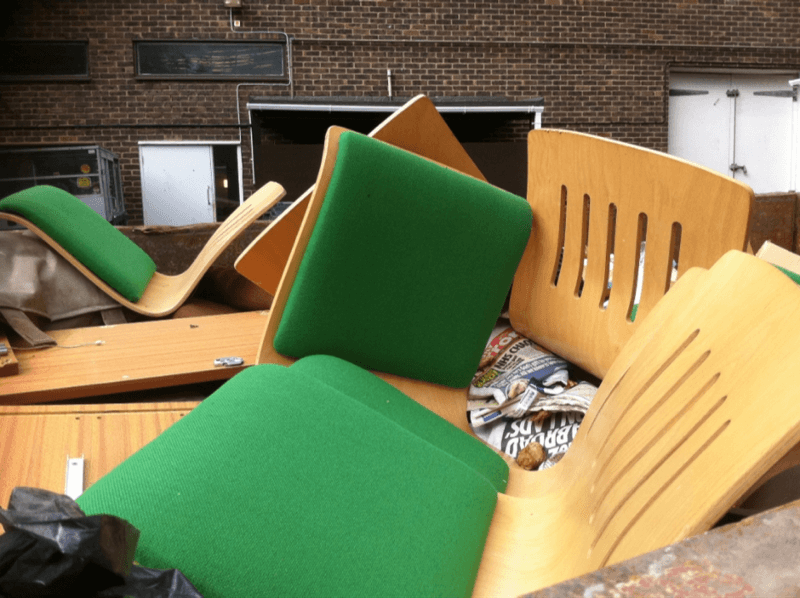 Do not throw away those broken chairs or desks. We can give them a new life. The next most valued activity after internal reuse is to repair assets, to be reintroduced into stock for reuse again and again. 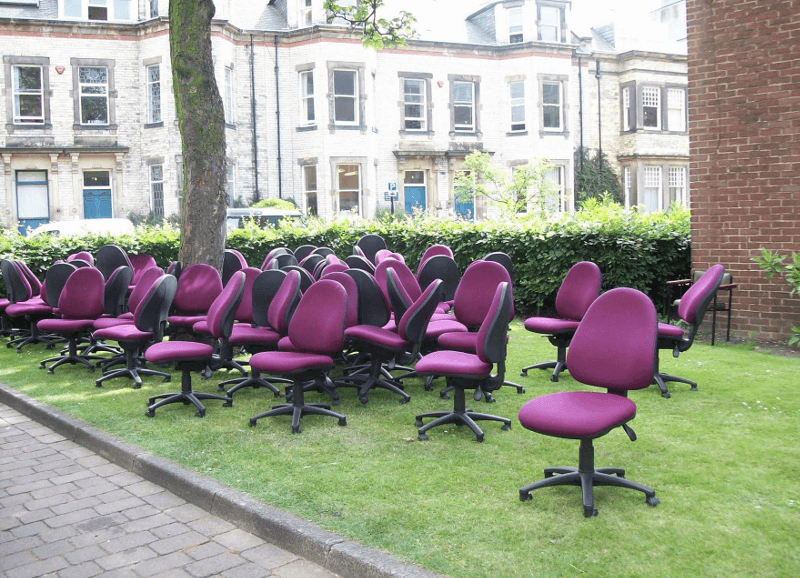 Typical savings are 70% over buying new when refurbishing operators chairs for example. This is another example of how Warp It can help you achieve your Circular Economy aims. In collaboration with our partners Warp It can provide a repair and refurbishment service for furniture and electrical items. The items are collected in bulk and taken away to be repaired or refurbished, They are then returned with a warranty. 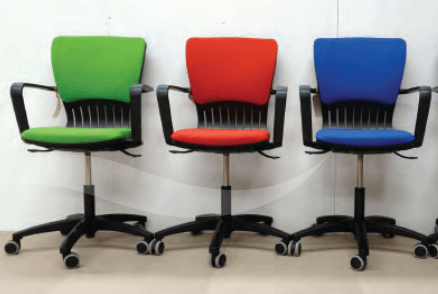 These chairs have been refurbished by Premier Sustain our partner. The most common items of furniture that we repair refurbish or remodel are chairs, operators chairs and desks. Everyone is squeezing more staff into less space. 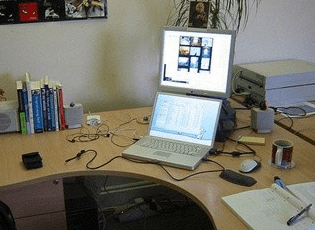 Therefore the disposal of the older larger desks is common place. Purchasers are specifying new smaller desks- but we can take your old desks and remodel them into smaller desks! The repair of electrical items brings the biggest environmental and financial benefit out of all the categories we deal with. All repairs run through the Warp It system and the organisation can see the financial, carbon and waste benefits.